Several months ago, energy provider Solarplicity teamed up with Stoke-on-Trent City Council to roll out green solar energy to council houses. Now the scheme is being opened up to social housing landlords across the country. LABM finds out more. The new ‘Community Energy Scheme’ partners together social housing landlords, social housing tenants and Solarplicity as a private energy supplier. The scheme is a first for the UK, and is designed to make the housing stock of landlords more energy-efficient through the installation of solar panels, energy storage units, smart meters and LED technology. It also helps local government in fighting fuel poverty among social housing tenants, as the cheap supply of energy significantly reduces their bills. The roll-out of the scheme in Stoke-on-Trent has shown that the demand from social housing tenants to get involved is very high, and the vast majority of them are keen to sign up to a greener form of energy supply. 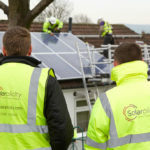 To date, over 4,100 Stoke-on-Trent households have signed up, with Solarplicity installing solar panels at record speed. Installations have already surpassed 1,000 fully functional PV systems and feedback from locals involved in the programme has been very positive, with many praising the simplicity of switching to solar energy as well as the financial benefits involved. 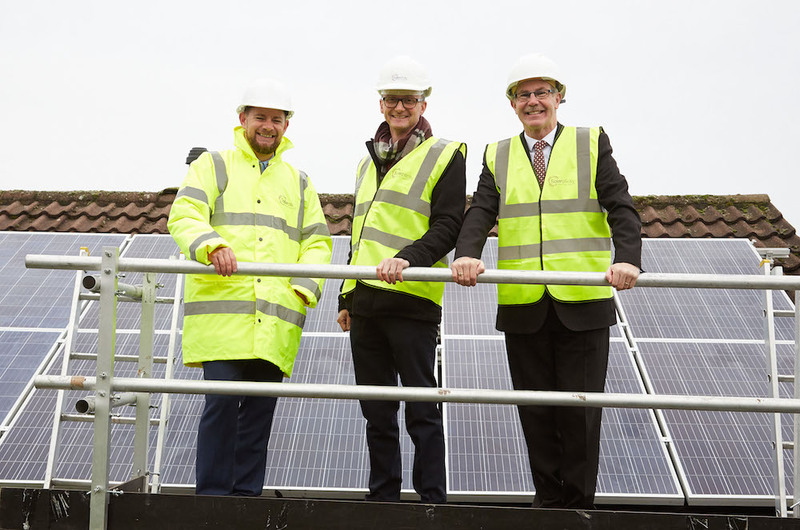 Stoke-on-Trent was the first local authority to approve this innovative programme, which sees the private energy supplier install the solar panels onto social housing at no cost to tenants or the council. Operation and maintenance of all panels that are installed is also offered free-of-charge. Houses that are not suitable for solar panel installation can still sign-up to the scheme and claim the savings. In such cases LED-lighting systems can be installed, which help reduce energy consumption by around 8-10%, offering a cleaner energy mix on top of savings. Under normal circumstances a huge barrier to entry of solar for housing landlords is the cost of installation. In this scheme the burden of high investment costs is shifted to the energy supplier. What is more, the investment significantly improves the energy efficiency of local housing in line with targets set by the UK Government. Ahead of rolling out the scheme to new social housing landlords, the potential energy savings and efficiency-gains are estimated by carrying out a desktop research of the housing stock. A key factor that the research assesses is how many houses are actually eligible to be fitted with solar panels due to the make-up of their roof structures. For each house that has solar and LED lights installed, landlords can expect 12 additional SAP points towards their Energy Performance Certificate (EPC) rating, while 2 SAP points are possible for every house that does not qualify for having solar panels fitted, just through the installation of LED lights. 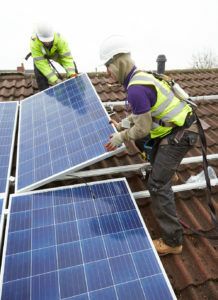 Taking Stoke-on-Trent City Council’s estate as an example, the energy supplier carried out a desktop survey of the 18,000 houses owned by the council, which identified 12,500 properties eligible for solar panel installation. This means that the investment into the council’s housing stock has the potential to provide 181,000 additional Standard Assessment Procedure (SAP) points towards Stoke-on-Trent City Council. Addressing the growing number of tenants living in fuel poverty, the partnership has the potential to reduce energy costs for tenants by around £300 per household, per year, compared to Ofgem market figures. In the case of Stoke-on-Trent, the cost savings mean an overall annual saving secured for the local community of circa £5.4m (based on the Ofgem recommended comparison methodology versus the UK’s ‘Big Six’ energy companies). Over 25 years, the potential saving could amount to £135m. Looking at how this scheme is helping the local community beyond energy cost savings in Stoke-on-Trent, Solarplicity is working closely with the council and residents to promote awareness of renewables and the benefits they bring. This activity is amplified through meetings with the tenant board every couple of months, during which the use of renewables in the area is being promoted. Finally, investment in the community is resulting in the creation of dozens of local jobs, ranging from roofers through to administration staff. How can other councils get involved? 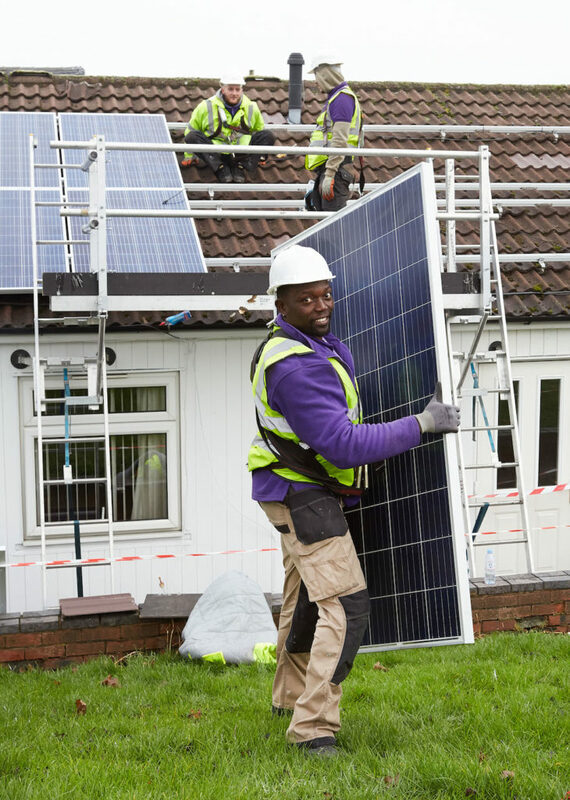 The ‘Community Energy Scheme’ is committed to investing in solar panels on the roofs of social housing landlords to improve the quality of the accommodation that is provided. Stoke-on-Trent City Council has been a model start as a leader in sustainable energy within a city, and now the scheme is open to be adopted by social housing landlords nationwide to encourage the reduction in fuel poverty as well as promoting the use of renewables. Following the success of the model set-up in Stoke, the energy supplier is looking to rollout the scheme to other social housing landlords across the country. Resources for social housing landlords and residents are available on Solarplicity’s website. Any housing providers interested in organising a partnership or rolling out a programme in their area should get in contact with the energy supplier.